Ovens can be an absolute chore to clean – especially if there is leftover food that has become tightly stuck to the walls and racks for months. This is where self-cleaning ovens come in. As the name suggests, these ovens clean themselves to ensure that they remain free of grease, oil and bits of that lasagne you cooked last November. 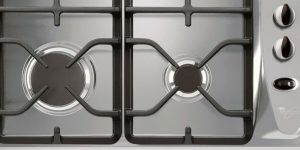 However, as well as being a number of different brands to pick from, there are also two types of self-cleaning ovens: pyrolytic self-cleaning ovens and steam cleaning ovens. So which one is best? This is the oldest and perhaps most common of the two, and it was introduced in the 1960s. While the term ‘self-cleaning’ perhaps gives you the mental image of your oven growing arms, donning some gloves and starting to scrub itself like a Wallace & Gromit creation, the process is less creative, and more scientific. Pyrolytic refers to the process of thermal decomposition used to char organic materials. This process is used when creating charcoal, coal, petroleum and other chemical. To put it simply, it carbonises the leftovers in your oven and turns them into a white ash. All you need to do is simply brush away the ashes, and your oven is clean. The obvious advantage is that you don’t have to spend hours on your hands and knees every few months while you painstakingly scrub away all that residue. There’s also no need for your smoke alarm to be set off by food that continues to burn away in your oven. Lastly, it also means that you don’t need to worry about cleaning every nook and cranny, as the oven will ensure that every leftover gets charred. With that being said, these ovens aren’t without their potential problems. As the temperature needed to char materials in the oven is very high, about 500 degrees Celsius, they can get incredibly hot during the cleaning process. While the ovens are built with materials to withstand such excessive, prolonged exposure to heat, it’s a good idea to keep any children or animals away from the kitchen while it cleans. Thankfully, it will lock during the process – ensuring that no-one can get into the actual oven. However, self-cleaning ovens can cause a bit of a stink during their cleaning process, and there are even reports of them getting a bit smokey. 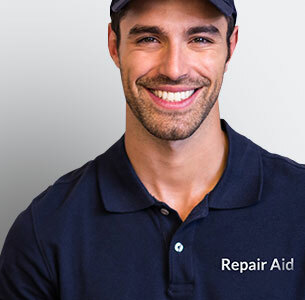 If this is the case, it would be worth your while to contact an oven repairs firm – such as Repair Aid – to examine the problem. Steam cleaning ovens work by also using heat – however, this heat comes from water being boiled until it becomes steam. 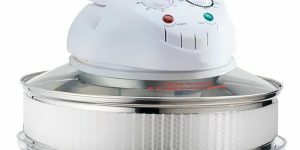 While pyrolytic self-cleaning ovens reach temperatures of 500 degrees Celsius, steam cleaning ovens only tend to go as high as 150 degrees Celsius. The process of using steam to clean the oven means that the cleaning is done in a far shorter time than pyrolytic counterparts. 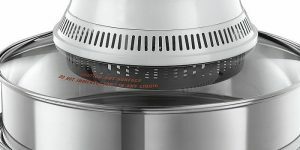 As it is just water being used to clean the oven, you don’t need to worry about the possibility of smoke or funny smells that come from pyrolytic self-cleaning ovens. Additionally, if energy bill expenditure is a big concern, steam cleaning ovens use less energy than other self-cleaning ovens. While they do mostly clean out ovens, the level of cleaning isn’t as meticulous as pyrolytic self-cleaning ovens. There may be some spots that get stained over time by particularly harsh substances, however this won’t affect the performance. If cleanliness and tidiness is a high priority for you, then pyrolytic self-cleaning ovens may be what you want. However, if the inner appearance of the oven isn’t a concern to you, then steam cleaning ovens do a great job too. Both of these forms of self-cleaning ovens will keep your oven cleaner than you ever could, and seriously reduce the amount of time you spend keeping your oven in good condition.